It seems that young investors are Hoarding cash at alarming rates and leaving their savings to sit on the sidelines not earning any kind of income. Interest rates on cash investments are at all time lows while the stock market is booming and reaching record highs. So why are these young investors hoarding cash at increasing amount. They are missing out on the stock market gains that have taken place over the last six years since 2008. The markets have almost doubled since 2008 and your investments should have done the same. Sure there has been lots of ups and downs, but the overall trend is aggressively up! The answer is the stock market crash in 2008. Also the corresponding housing crisis that started that year and continued for several years after that. Consumers who owned homes that were heavily mortgaged lost those homes. The value of the homes went down so much, well below the value of the mortgage. The stock market crashed. Anyone who sold their stocks because they thought they were going lower locked in those losses. They never got back in the market. They lost big time. As we update this post there is another correction taking place in the fall of 2018. It may be time to take advantage of this correction and get back in the market. Invest in dividend paying stocks that have a long history of paying dividends. At least this way you will also derive some income from your investments. Many people are now hoarding cash figuring that if it is not invested in anything risky they cannot lose it. They also cannot take advantage of the increases in the stock market and housing either. The stock market as more than doubled since 2008 and homes are now well on the way to rebounding back to what they were pre 2008. Meanwhile those people sitting on cash are not only missing these gains, they are also losing in another way as well. Inflation continues unabated at around 2% which means that the $100 in cash you had sitting in the bank last year will only purchase $98 worth of goods today. next year it will only purchase $96 and so on. Inflation is silent and sneaks up on all of us and if you are sitting on cash you are actually losing money every year. If you have to pay any tax on the small income you do get on your cash, it only gets worse in terms of the money you have to spend on everyday living expenses. 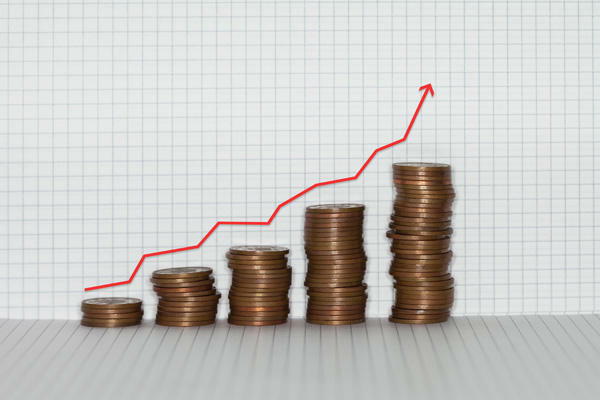 The young investors have missed the boat in terms of the stock market gains, however they can still purchase dividend paying stocks from companies that pay well, have a record of paying every year and have a record of increasing their dividend each year as well. This entry was posted in Investing and tagged Investment Risk on 2014/06/21 by ernie. Financial Risks in Retirement – Everyone should have a retirement plan in place to ensure that they have explicitly considered, and have strategies in place to address any or all of the issues listed below. When you review the list, you may feel that some of these may not be ever an issue for you. That’s fine, set those aside and focus on those that you are concerned about. If you have time and / or the inclination come back to the others and address them. At least you will have a plan to deal with those issues that concern you the most. Outlive your money: Many people are living longer than their ancestors and their parents these days and as a result must plan for longer life. Running out of money can make retirement very uncomfortable and even miserable. Take stock of your assets and plan withdrawals from your savings in such a manner that they will last beyond your anticipated demise. A temporary loss in value of investment assets, resulting in less income: the stock market, the housing market etc appears to take corrections every decade. When this occurs will this impact your living standard and will you be able to sustain your living standard? What plans can you put in place that will sustain your income and allow you to sleep at night without worrying about whether your assets will be available or not? Is this a major proportion of retirement income? Are the investments balanced for regular income, versus growth? Are guarantees needed to lock in a portion of this income. Death of a spouse, and resulting reduction, up to 50%, pension income: we have seen it over and over again. One spouse will die and the company pension plan is halved or eliminated as a result leaving the other spouse without the funds to live comfortably in their remaining years. 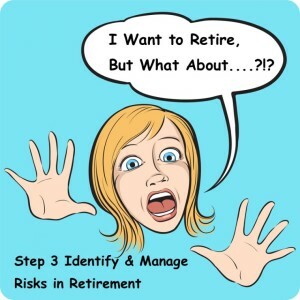 Decide before you retire if a survivor option should be added to your retirement plan? What is the probability that you will need long-term care? Long term care is extremely expensive and all of your assets can and will be consumed if you spend any significant time in long-term care. Can your spouse look after you? Will your spouse look after you? Other assets which can be sold to provide additional funds? Do a long-term insurance analysis. Continuing elderly parent or disabled child support: who will look after your disabled child when you are gone? How will you work and look after your elderly parents and your disabled child? Is this a large proportion of the expenses? Are RRSPs, and Henson trust in the will. Inability to handle your financial affairs: this can happen slowly over several years providing you with time to prepare wills etc., or you can be suddenly smitten with a stroke or heart attack leaving you unable to look after your own affairs. What do you do in a situation like this? What does your spouse or family do in situations like this? Ensure that wills and POA’s are in place in advance. Create a complete estate plan: beneficiaries, testamentary trusts, funeral costs. Is joint insurance required to cover: estate capital gains and RRIF taxes? Large legacies or charitable gifts? 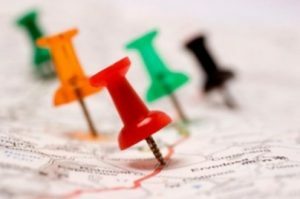 Special circumstances or considerations e.g. business owner? We may not have covered all of the situations that we all must deal with in retirement and as we age. However these appear to be the main issues and if nothing else we hope that it will get you thinking about your personal situation and making some plans with regards to those issues. Doing nothing is really not an option although many people do just that and then have to live with the consequences. Don’t be one of those people. Take control of your life and make sure that you can live the life you want for yourself and do not become a burden for your family. In the end no one wants to be a burden. We all want to be independent as much as we possibly can even if we are incapacitated. For more information about retirement risk, click here. This entry was posted in Retirement Risk and tagged Investment Risk on 2013/05/01 by ernie. While everyone should have a retirement plan to help them ensure they will have sufficient funds to see them comfortably through retirement. They should also assess that plan from a risk perspective to ensure that their plan will withstand any curve balls that life throws at them. This is part of the risk analysis that every one of us should be doing to ensure that we and our families have a comfortable life in retirement. We have put together a list of 7 items to consider (there are probably more) that a proper plan should consider. 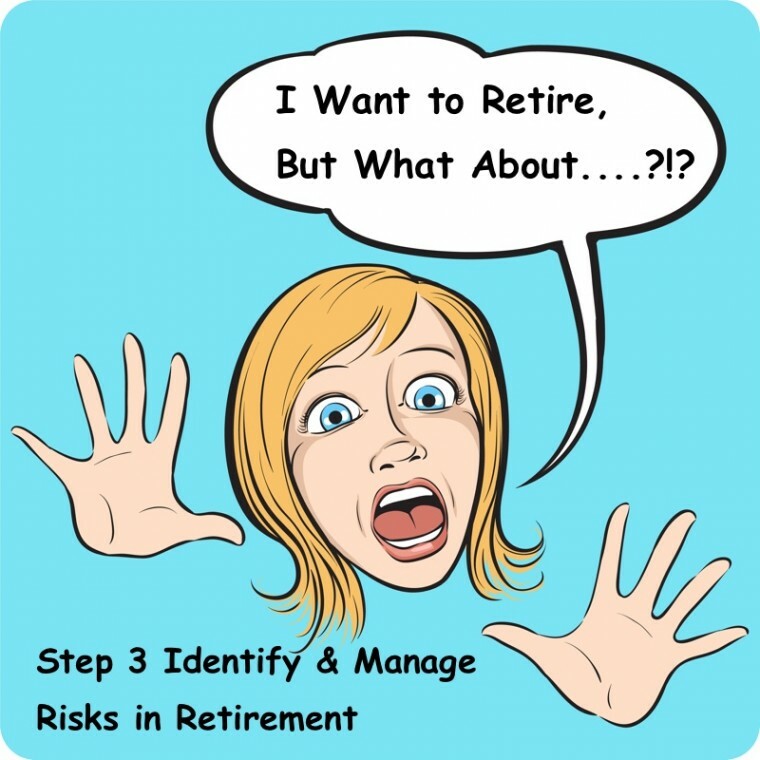 Manage financial risks in retirement to increase the odds of a satisfied retirement. If you have these at least considered and have taken mitigation steps then you are well on the way to making sure that you will be ok.
We assume of course that you already have a financial plan in place. If not the first step is to build one and then consider these issues from a risk assessment perspective. Here is our summary and we discuss each one in a little more detail later in this post. This is probably everyone’s worse might mare. No one can predict how long you live other than considering actuarial tables, statistics and looking at your own older relatives. We are all healthier now than our parents were and we are living longer. chances are that you will live at least 5 years or maybe even 10 years more than what your parents did. Tack on another 10 years to your financial plan to see what impact that has on your assets. You may find that you either have to save more , live on less or keep working! If you depend on your assets for income and they go down with the stock market, what will the impact be on your plans? This happens all of the time as we have seen over the past 30 years. What is the impact on your income with a 20 % decline in your asset value? What do you need to do to make your assets less prone to this kind of income drop? Many spouses depend on each others income to have enough money to live on as well as share expenses. Some pensions drop by half when a spouse dies and at the very least government pensions will stop for the spouse that passed away. Can you deal with a 50% drop, or do you need additional income sources to protect your self and you spouse in this kind of situation. Sometimes we live a long time, but this does not always mean we have our mobility or our mental faculties with us. Long term care is expensive and you either need to have sufficient funds to cover the expenses or you should have long-term care insurance. Evaluate the impact of one or both of you requiring long-term care? If this is a concern for you and you are near retirement, you may want to assess your parents assets as well as your own and whether you have sufficient funds to pay and provide elderly parent support. A stroke or an accident, or some of the other major diseases can rob you of your ability to make your own decisions. Is your will up to date as well as your power of attorney ? Does the person you have designated know what to do and what your requirements are. Avoid a stranger making these decisions, by having an up to date power of attorney in place. There are thousands of special circumstances that we have not mentioned. Some will come as a complete surprise, while others will not be much of a surprise based on your family’s situation. Take a moment to evaluate those and decide if you need to do some risk analysis to help you deal with these situations. This is a start, everyone of us should be doing this sort of risk analysis prior to retirement and after retirement to assess if anything in your savings plans, your retirement age or your life style needs to change! This entry was posted in Retirement Risk and tagged Investment Risk on 2012/07/21 by ernie. Just read an article about the top five concerns consumers have about their finances and it is not surprising that most people are thinking about – Debt, Savings, Education, Retirement and Health costs. This chart on the left shows where people expect their income may come from as well as the concerns that they have. is something that everyone worries about sometime in their lives. Usually when they over extend themselves and also as they are nearing retirement or are about to lose their jobs. This were a contingency plan comes in. Plan for losing a job, plan for retirement and try to make sure that you never over extend yourself. 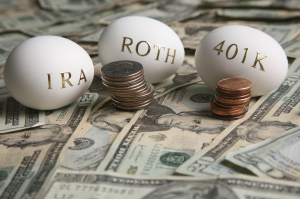 can tie in with having a contingency plan, but savings also means saving for retirement. If you are going to do it right it means you have several different savings accounts – contingency, vacation, something you want to purchase, major repairs to your home and retirement. Sounds like a lot but it is pretty basic and if you fail on any of them you will pay the price at some point with some hardship that you did not count on. is important for the kids. Depending on how many kids you have, your plans for them in terms of education etc you will want to set aside a savings plan early that is specifically for the kids to get the schooling they need. is so important. If you are lucky enough to have a plan at work your among a minority these days. Set aside a minimum of 10% and never touch it. Invest wisely and do not use it until you are getting close to retirement. Then evaluate whether you have enough or not with the help of a financial planner. are a big unknown. One day you are healthy and the next day you have major medical bills. Not everyone can afford to have health insurance, so it is a bit of a gamble. People have been known to be wiped out over night due to unforeseen health costs. Pay yourself first – a simple but very effective lifelong approach. Make regular contributions to the tax-savings options. Pay down your most expensive debts as much and as quickly as you can. Pay yourself first – a simple but very effective lifelong approach. Figure out a budget and decide how much you can afford. Then pay yourself so that you can enjoy a little bit of life. Just ensure that it is reasonable in relation to the rest of your income. Have a plan – and write/type it out, discuss it with people that you respect and review it on a regular basis. Some people suggest once per year while others once per quarter. Decide what works for you. If you finances are volatile, then you will want to review your plan more often. Learn about tax-saving options that are available in your state or province. Decide how to maximize your savings and decrease the amount of tax you pay at the same time. Reduce your most expensive debts as much and as quickly as you can. This in turn will control and decrease the amount of interest you are paying and when the debt is paid off, you will get a major raise in terms of more cash to use on other things. If you share these financial concerns or have others that we did not mention, why not leave a comment for readers. All well written helpful comments will be accepted even with links. All others will be deleted. 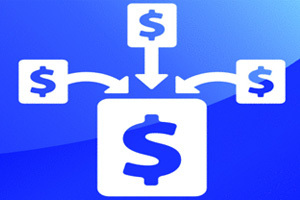 This entry was posted in Financial Planning and tagged Investment Risk on 2012/06/07 by ernie.